The Science of Forensic Entomology builds a foundation of biological and entomological knowledge that equips the student to be able to understand and resolve questions concerning the presence of specific insects at a crime scene, in which the answers require deductive reasoning, seasoned observation, reconstruction and experimentation features required of all disciplines that have hypothesis testing at its core. Each chapter addresses topics that delve into the underlying biological principles and concepts relevant to the insect biology that forms the bases for using insects in matters of legal importance. 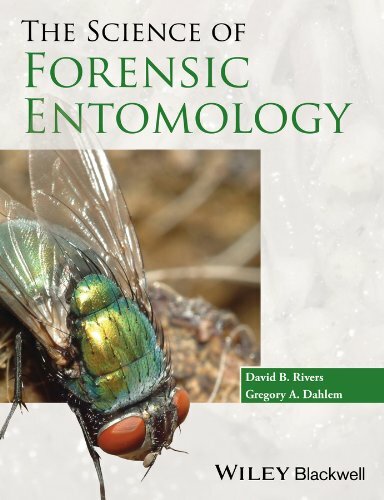 The book is more than an introduction to forensic entomology as it offers in depth coverage of non-traditional topics, including the biology of maggot masses, temperature tolerances of necrophagous insects; chemical attraction and communication; reproductive strategies of necrophagous flies; archaeoentomology, and use of insects in modern warfare (terrorism). As such it will enable advanced undergraduate and postgraduate students the opportunity to gain a sound knowledge of the principles, concepts and methodologies necessary to use insects and other arthropods in a wide range of legal matters.